Great Mountain Views, close to all that Manchester has to offer. This 3 bedroom home has it all! It offers spectacular mountain views, relaxation, and privacy all on a convenient 2 acre setting. Fabulous shopping and dining are just minutes away in quaint Manchester. Home offers cozy comforts of a wood burning stove, spacious master bedroom with bath, and central living room with a NEW FLAT SCREEN TV. Fantastic mountain views. 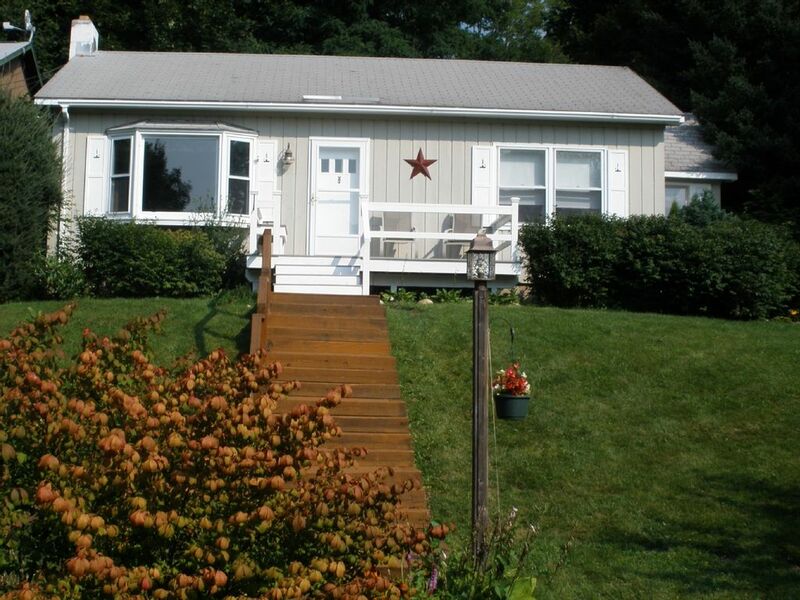 Enjoy easy one floor living while taking in all that Vermont has to offer! We had a wonderful time staying in Macnhester. The house was perfect for our family of four! Extremely convenient to skiing (only about 15 mins to Bromley and 30 to Stratton). The owner provided us with easy instructions and the house was conveniently located to Manchester where there was tons of restaurants and shopping. We would definitely go back and recommend to our friends. Exactly what we were looking for. Great location in Manchester Center but still away from it all. Quick trip to Stratton Mountain and Bromley for skiing. Very comfortable and well maintained home with everything needed to spend four nights with a family of four to ring in the new year. Definitely would recommend! Great stay. Comfortable. Nice view! The home was so close to everything and yet secluded. Lovely house and the gazebo and deck were a lovely place for breakfast with a view. Master bedroom was so roomy and the bed extra comfy. Thanks so much for staying with us. Hope you can return in the future. Cozy and comfy house. Close to all. Great view.Much better deal than any motel. Definitely will stay here again. I'm so glad you enjoyed,your stay. Hope you can stay with us in the future. Ski Stratton or Bromley mountains. Canoe or fish the Battenkill. Hike to the top of Mt. Equinox. Mountain bike on local trails. Shop Manchester outlets or just kick back and relax on the double porch swing in our screened gazebo. Located just 2 miles south of Manchester Center. This is a Great Horse Show Location. Equniox golf course is just a mile away.